Venus - the second planet in the Solar system. It coexists with the Land, and therefore, if you have good eyesight it can be seen with the naked eye. You only need to choose the right time for her observations. In order to distinguish Venus from the other celestial objects, it is necessary to know its properties. And in size it is very similar to Earth. However, it is located closer to the Sun and has an aggressive atmosphere. 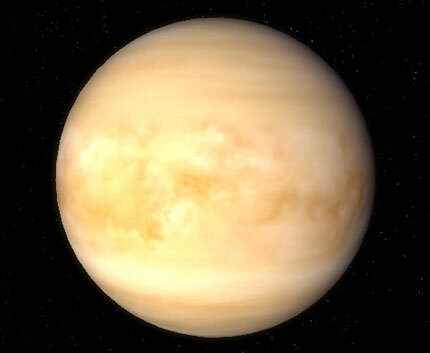 The surface temperature of Venus is over 400°C. the Distance from Earth to Venus is about 45 million kilometers. Most often its surface is difficult to examine due to the presence of huge dense clouds that consist of sulfur dioxide and dust. Only recently, thanks to new telescopes, it was possible to see some of its sites. However, rocks, craters, and canyons Venus is not visible through any telescope. When viewed with the naked eye, Venus seems little star, despite the fact that actually is a planet. Provided it only brightness, as it has high reflectivity due to its dense clouds. You can see it both in the morning and evening. Remember that the best time to observe Venus in a quiet, cloudless weather. If you want to see Venus is particularly bright, try to observation leave the city. In the presence of binoculars be sure to take it with you. Venus is usually visible an hour after sunset or an hour before sunrise. Approximately seven months of the year, the planet is visible mainly in the evening and the remaining three - mostly in the morning. Unlike other stars, and planets Venus can also be distinguished by its bright white color. In a telescope you can see some of the phases of Venus. However, some people manage to do it with the naked eye or using binoculars. The phase of Venus change like the moon - in its form, incomplete Venus resembles a sickle. In the evening when the Sun goes down, look for Venus in the West, and in the morning in the East. This planet is sometimes like a comet, especially when approaching close to the Earth. Nevertheless, the comet can be seen the tail, which is not Venus. The only way to differentiate a planet from a comet. Due to the high brightness, sometimes it is seen even in twilight. Never point binoculars or a telescope at the Sun.